I would like to say first off that it is great to be on this forum with you all. When i come across this forum it brought back so many memories of my father playing this back in the good days. He was an Railway Engineer so he loved building everything up. Anyway i have just gone on the download page and hit the link. It started downloading. But don't you have to pay for this game? or is it free? Also is it safe to download? I just thought i would come here and make sure first. If you know where i could buy the train simulator from that would be great also. Once i have the game I am going to get stuck in straight away and start building up my empire like my father used to. Looking forward to you reply's guys!! Simutrans is free. Some people have tried to sell it, sometimes under a different name, but those are at best scammers. Whether it is safe is a question with a complex answer, but (almost) every user on this forum believes it was worth the risk. You should at least download it through simutrans.com (although that will ultimately lead you to SourceForge) or Steam. Although Simutrans has been around for many years now, it might not be what your father played. He might have played Transport Tycoon or Transport Tycoon Deluxe, which Simutrans is heavily inspired by. 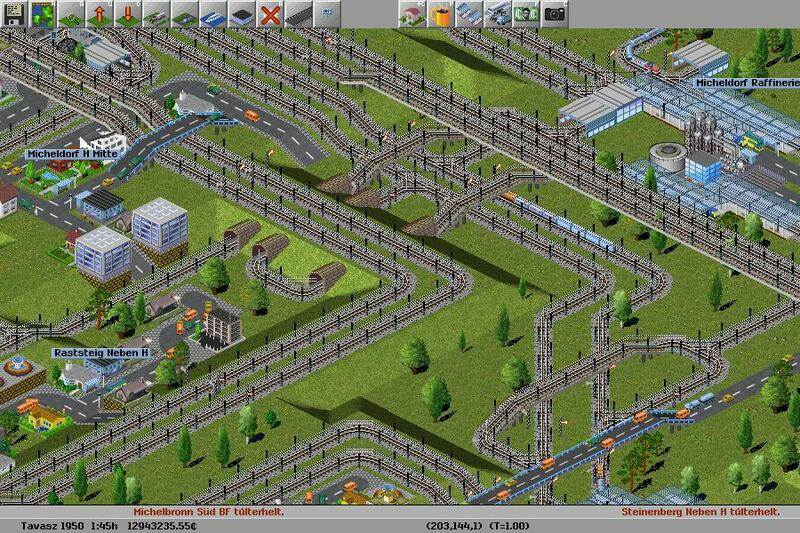 But Simutrans aims to do things better than Transport Tycoon did. I already have a steam account but i will download from the simutrans site directly hopefully to get the best result. And this might make sense if Transport Tycoon has the same kinda layout it might have been that. As i am watching the game play https://www.youtube.com/watch?v=dUMkcAvu70M i am getting more and more excited like a child in a toy shop! !